Mr. Howard Frederick Dishman, Sr., was the only child of Howard Armstead Dishman and Inez Howard. Mr. Dishman’s father, Howard Armstead Dishman, was born in Stafford, Virginia. He migrated first to Washington, D.C., then to Alexandria, Virginia. Howard’s grandfather, Armstead Dishman, was a large property owner in Brooke’s section of Stafford, Virginia. 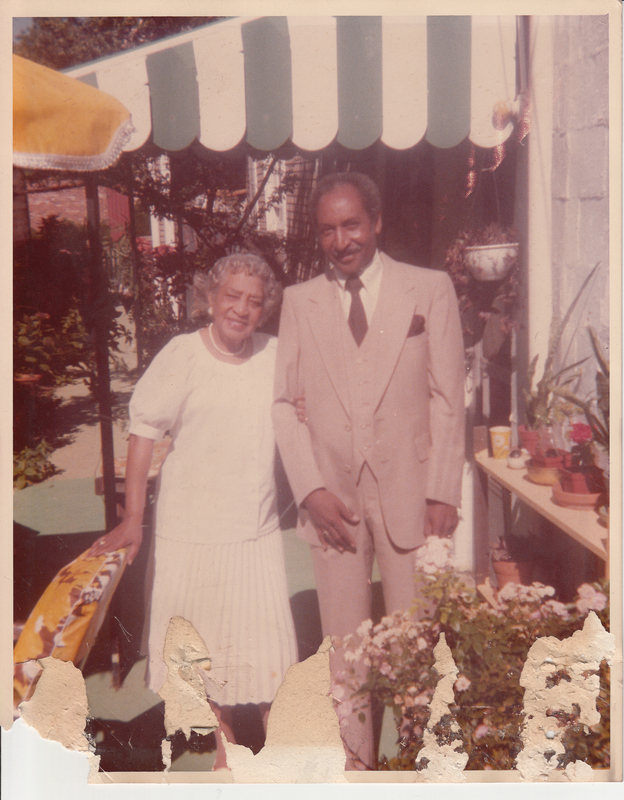 Howard’s mother, Inez’s parents were Fredrick Howard and Cora Bentley. Inez inherited property from her father’s siblings, James Howard and his sister, Sarah Howard who never married. They left their property to their niece, Inez. The property was 620 and 622 North Alfred Street. Inez passed three pieces of property to her son, Howard F. Dishman. Two pieces of properties from her father’s brothers and one parcel of property from her mother’s father. Inez’s mother, Cora Bentley-Howard Bank, inherited property from her father at 315 North Patrick Street. Cora’s father was Richard W. Bentley. Cora passed her property to her daughter, Inez. Cora had several siblings, one of them was Lewis (Louis) Bentley. Lewis inherited property from his father, Richard Bentley. He inherited the property at 313 North Patrick Street. His property was given to his daughter, Dorothea C. Bentley-Campbell. The article stated that Howard Dishman inherited properties from his grandfather, Richard Bentley. The information was somewhat correct; but, he inherited the property through his mother by way of his grandfather. This property was at 315 North Patrick Street and the other properties were from his grandfather’s siblings located at 620 and 622 North Alfred Street. Mrs. Dorothea Bentley-Campbell is the granddaughter to Richard and Sarah Bentley. Mrs. Dorothea and her two sisters, Teresa and Frankie are the last living grandchildren of Richard and Sarah Bentley. Mr. Howard Dishman, Mr. Lynnwood Campbell and his siblings are the great-grandchildren of Richard and Sarah Bentley. You can read the Alexandria’s article on Richard W. Bentley – 19th and 20th Century Businessman on pages 11 and 21 at http://connectionarchives.com/PDF/2018/082918/Alexandria.pdf. This entry was posted in Black People of Alexandria and tagged Alexandria Property, Alexandria VA, Armstead Dishman, Cora Bentley Howard Coleman, Dorothea Bentley-Campbell, Howard Dishman, Lynnwood Campbell, Richard W Bentley. Bookmark the permalink.